We are a full service kennel offering puppies, started puppies, started dogs, finished dogs, retriever training, obedience training (larger breeds), boarding (larger breeds), blood dogs, and blood/shed training. We also offer other customized training options including upland training. If you are interested in a Labrador Retriever for this upcoming hunting season, next season, or are in search of a family companion, we can definitely help you. If your dog is in need of training, we are your go-to kennel. We are located 1 hour from downtown New Orleans, and have been breeding, raising, and training Labradors from Ireland, England, and other areas of the UK for 15+ years. We have also trained other larger breeds during this time with the same great results. Our full scale kennel operation is known for producing well rounded obedient dogs, who make excellent companions and hunting partners. With one of the highest quality and largest breeding programs in the country, along with a stellar reputation for producing high quality retrievers, we are your GO-TO-KENNEL. All of our dogs are guaranteed non-affected by PRA, CNM, and EIC, along with a 30 month hip, elbow, and eye guarantee. 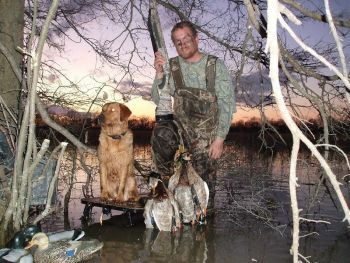 Please visit WWW.ACESRETRIEVERS.COM, Call (228) 493-7474, or email us @ acesretrievers@gmail.com for pricing and more details. THANK YOU FOR YOUR CONSIDERATION, AND WE THANK MANY OF YOU FOR YOUR LONG LASTING BUSINESS AND FRIENDSHIP!